JERUSALEM (AP) — When Simone Zimmerman arrived at the check-in window at the Israeli border with Egypt, it didn't take long for the young activist to run into trouble. Zimmerman, a Jewish American living in Israel, quickly became a person of interest after telling the border agent that she worked for an Israeli advocacy group that assists Palestinians. She says that led to a series of "super-charged" questions about her professional activities and political views. The agent wanted to know why she worked with Palestinians, not Jews, and asked for the names of Palestinian contacts in the West Bank. Agents unlocked her phone, asked her opinion of Prime Minister Benjamin Netanyahu and threatened to deport her if she lied. After four hours, Zimmerman, who had taken a brief vacation in Egypt, was allowed to return to Israel. A series of similar incidents at Israeli border crossings has highlighted a growing gulf between the country's hard-line government and liberal Jewish Americans who say they support Israel but oppose its policies on issues including religion, President Donald Trump and especially the continued occupation of the West Bank. This shift already appears to be having important implications for what historically has been a close relationship built on almost unquestioning bipartisan support. Some Jewish leaders have begun to criticize Israeli policies publicly, and some predict that the Democratic Party — home to an estimated 70 percent of American Jews — could soon turn away from its support for Israel. A poll published by the American Jewish Committee in June showed deep differences between U.S. and Israeli Jews on issues like Israeli settlements, religious pluralism and Trump's policies. Only 34 percent of American Jews, for instance, supported Trump's handling of relations with Israel, compared with 77 percent of Israeli Jews. A separate poll conducted by the Pew Research Center early this year found deep partisan differences in attitudes toward Israel, with Republicans more sympathetic to Israel than Democrats by a nearly 3-to-1 margin. The differences between the world's two largest Jewish communities have been in the making for years. Non-Orthodox American Jews have long identified with liberal causes, such as civil rights and social justice, and have become well-integrated into mainstream American society. They have a high rate of intermarriage with non-Jews, are less engaged in Jewish communal life than their parents, and tend to hold relatively dovish attitudes in Israel's conflict with the Palestinians, according to Steven Cohen, a prominent sociologist who studies the American Jewish community. In contrast, many Israelis have more conservative world views. They generally oppose mixed marriage, have a more collective identity and take a harder line toward the Palestinians, Cohen said. "Essentially, you have a liberal American Jewry confronting an increasingly conservative Israeli electorate, specifically an Israeli Jewish electorate," Cohen said. Despite these differences, the Jewish American establishment — led by the influential pro-Israel lobbying group AIPAC — has firmly backed the Israeli government and its policies over the years. 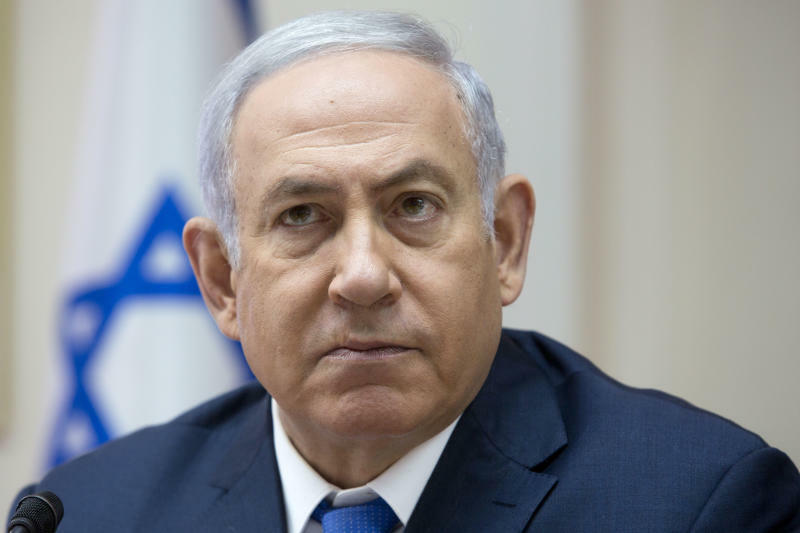 But a series of decisions by Netanyahu's government has begun to soften that support. Netanyahu upset many American Jews by appearing to side with Mitt Romney over Barack Obama in the 2012 presidential election. He openly welcomed Trump's election in 2016 and has angered many American Jews by forging a close relationship with a U.S. president they see as anathema to their values. 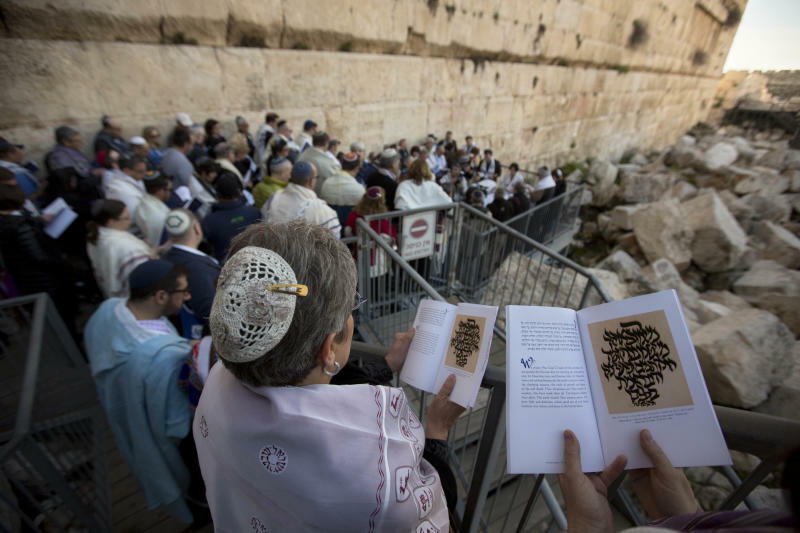 The relationship hit a major turning point last year when Netanyahu, under pressure from religious political partners, called off an agreement to create an egalitarian space where men and women could worship together at the Western Wall, Judaism's most holy prayer site. The Reform and Conservative movements, which represent most affiliated American Jews, slammed his decision. Netanyahu's government has also passed legislation aimed at curbing the influence of anti-occupation advocacy groups, banned gay couples from receiving state-funded surrogacy services and approved a ban on activists who support boycotts of Israel or Jewish settlements in the West Bank. Last month, Israel approved a "nation state" law enshrining the country's Jewish character, angering many in Israel's Arab minority, who said it rendered them second-class citizens. Jewish American groups have strongly condemned the law, as have Israeli liberals who saw it as undermining democracy and needlessly provoking the country's Arab minority. This week, a coalition of anti-occupation Jewish groups in the U.S. pledged to demand explanations from any visiting Israeli lawmaker who supported the law. Ronald S. Lauder, president of the World Jewish Congress, wrote in The New York Times this week that some diaspora Jews "wonder if the nation they cherish is losing its way." He said this sentiment is especially prevalent among younger Jewish Americans. "Jewish millennials are raising doubts that their parents and grandparents never raised," Lauder wrote. "Passing the torch to this younger generation is already a difficult undertaking. But when Israel's own government proposes damaging legislation, this task may well become nearly impossible." Israel still has significant support in the American Jewish community. AIPAC continues to wield influence in Washington; the White House and Congress remain strongly pro-Israel; and the smaller but more politically engaged Orthodox Jewish minority fervently supports Israel. Elad Strohmayer, spokesman for the Israeli Embassy in Washington, said Israel and American Jews have a special bond "that Israel does not take for granted and which must always be nurtured." He said all of Israel's diplomatic missions in the U.S. are engaged in "extensive outreach to American Jews and work to strengthen the connection of all Jews to Israel, regardless of their denomination." Zimmerman, 27, said she grew up in a mainstream Jewish family in Los Angeles and was raised to show unwavering support for Israel. She only began to ask questions after heading to college, where she said she found it difficult to defend Israel against critics of its policies toward the Palestinians. This led to disillusionment with the Jewish establishment. She became involved with J Street U, the campus arm of a Jewish lobby group that supports Israel but opposes the occupation. "That really for a lot of young Jews is how the process started for many of us. It was actually just about wanting the space to ask the hard questions that didn't exist in the community," she said. Three years ago, Zimmerman formed "IfNotNow," a grassroots group that opposes Israel's occupation. The group claims to have nearly 2,000 trained activists, with chapters in 16 cities and a dozen college campuses. "Our contribution is to bring the crisis of American Jewish support for the occupation into the center of public discourse and to force a difficult conversation," she said. In recent weeks, several other vocal critics of Israeli policies have been detained and questioned about their political views when entering the country. Among them was Peter Beinart, a journalist, TV commentator and university professor who is well known in Jewish circles. 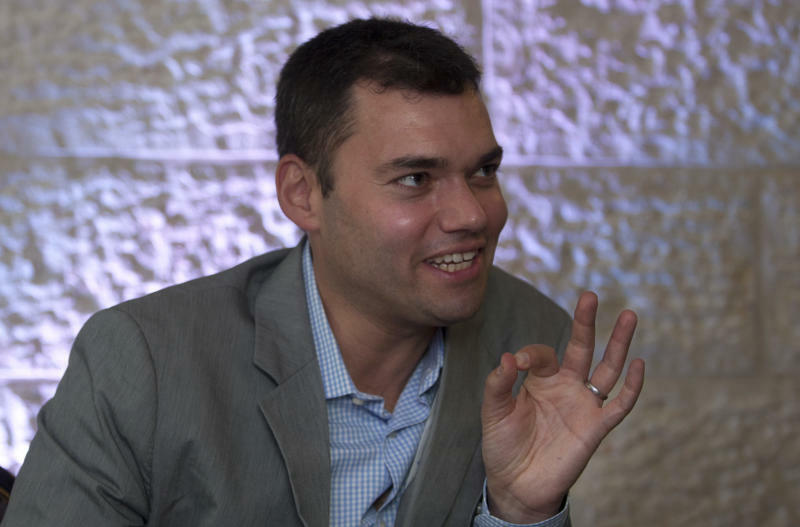 Beinart warned "there is no question" American Jews are growing ever more distant from Israel. "The depth of animosity and alienation has grown dramatically," he said, predicting that Israelis will be "shocked" by how critical of Israeli policies Democratic presidential candidates in 2020 will be and how much support they will get from young American Jews. "When you think about how liberal American Jews think about Donald Trump, that's the way they feel about Netanyahu," he said. "That's the emerging demographic majority in the United States."